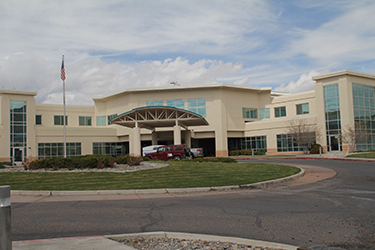 As northern Nevada's medical school, we are a fundamental part of our community. We thrive on collaboration. We are enhancing our clinical education and clinical research capabilities in Reno with leading community partners, including Renown Heath, the Sierra Nevada VA Health System, medical clinics, community physicians and other health care providers. The medical care we provide is unparalleled, because it is built on the collective knowledge of Nevada's experienced and skilled health care community. The office of Statewide Initiatives has many programs in place to help train the next generation of Nevada's physicians in all areas of the state. 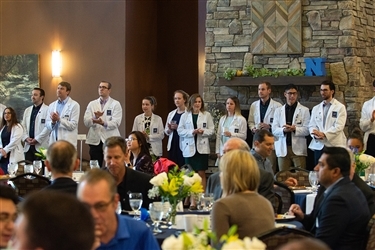 The School of Medicine works diligently to educate the community on health services offered and advocate how the school is improving health in Nevada. 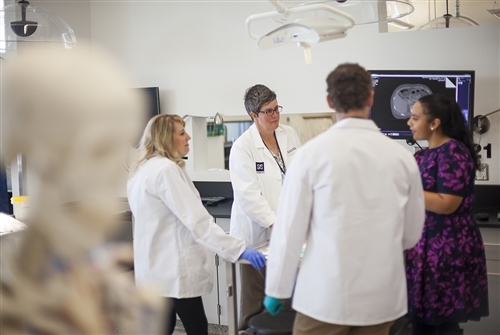 Community based faculty are one of the University of Nevada, Reno School of Medicine's most important assets. They share their knowledge, skills and abilities with our students in a wide variety of practice environments and more importantly give our students a holistic view of medicine.